In what can only be characterized as a bizarre, rambling, and intellectually dishonest article, The Economist has inexplicably taken the position that patents are not necessary for innovation. This anti-patent hit piece is full of inaccuracies and outright falsehoods, masquerading as thoughtful commentary on an issue where the authors are quite clearly ignorant. In an article titled A question of utility, which published on August 8, 2015, the author argues that there is plenty of evidence to suggest that patents are unnecessary and simply do not promote innovation. A lofty claim no doubt, but by the time you finish reading the article you are wondering exactly how any sane, rational person could conclude there is “plenty of evidence” to support the conclusion. If there is so much evidence to support the proposition, then why wasn’t any objective evidence provided in the article? The article takes the reader on a journey through history, discussing how patents were not necessary for innovation at various times during the 17th, 18th and 19th centuries, as if the world as it existed 150+ years ago offers useful clues for business and innovation today. The complexity of innovation today and the required investment necessary to innovate, as well as the highly speculative nature of innovation, seems lost on the author. It is surprising, and disappointing, that a publication like The Economist would turn a blind-eye to the underlying financial realities of innovation. One would expect the editors of The Economist to have a better sense of the business realities and not pretend that the state of innovation and how it occurred prior to or even during the Industrial Revolution sheds any light on how innovators and investors operate during the Information Age of today. If inventors during the Industrial Revolution did not rely on patents, then perhaps that would be some evidence that patents are not necessary for at least some types of innovation. Unfortunately, the truth is quite different. Not only did inventors turn to the patent system to protect their innovations during the Industrial Revolution, numerous scholars — including a Nobel Laureate — conclude that the existence of the patent system in England provided the predicate for the Industrial Revolution. First, according to Dr. Mariano Zukerfeld, “patenting trends in England skyrocketed toward the end of the 18th century.” Indeed, patent grants in England started to significantly increase beginning in 1757 and continued to increase throughout the Industrial Revolution. Zukerfeld also concludes that “the English patent system contributed to the industrial revolution by a curious and unintended balance: it encouraged dreams of individual enrichment that were not going to be realized for the vast majority of the inventors.” Therefore, patents worked as they were designed — as an incentive to innovate. Indeed, patents during the Industrial Revolution fostered innovative activity much as they do today. There are three reasons to suppose that patents did play at least some role during the Industrial Revolution. First, as Mokyr points out, the number of patents awarded in England began to increase in the 1750s and 60s… Second, until patent laws were passed in France and the United States in 1790s, no other country in he world (with the exception of the Venetian Republic) had instituted a functional patent system that inventors chose to use on a regular basis… Third, very few important inventions or inventors of the Industrial Revolution bypassed the patent system entirely. It is important to understand the difference between the rate of innovative activity which will occur in the absence of the ability to capture externalities and the rate that will occur if these externalities can be internalized. Innovation could and did occur historically, as we have seen, in a world when no property rights protected the innovator. However, only that kind of innovation occurred in which the costs (or risks of losses) where so small that the private rate of return exceeded them. Any innovation involving substantial costs (or the possibilities of large losses) would not occur until the private rate of return could be increased sufficiently to make the venture worthwhile. To illustrate the point: an improvement in a manufacturing process might occur by accident or by trial and error, but no “research” would be undertaken as long as the benefits from such an improvement were immediately available to all other manufacturers and the costs of research were greater than that manufacturer’s private gains from it. However, the ability to keep the improvement secret or to maintain a monopoly or exclusive patent rights would so increase the potential private profits that much higher research costs could be undertaken and the improvement would occur at an earlier time. Not surprisingly, I agree. Pharmaceutical companies do far more research today than they ever have, which has lead to numerous revolutionary medical breakthroughs. Of course, the fact that pharmaceutical companies are innovating more because of the patent system is an admission that directly contradicts the nonsensical blather of the article foisted on the reader. The process of developing a drug is incredibly expensive and costs have skyrocketed over the past few decades. According to the Pharmaceutical Research and Manufacturers of America (PhRMA), the cost for developing a single new drug, including money spent on researching unsuccessful drugs which do not pass FDA screening, was $1.2 billion in the early 2000s, up from about $140 million during the 1970s. Estimates released in August 2013 by Forbes indicate that the price of developing a single drug is about $5 billion per medicine accepted by the FDA. Without a patent system no rational actor would ever invest the billions of dollars necessary to take a new drug from laboratory conception to marketplace. Anyone who believes different is just fooling themselves. Without exclusive rights there would be little, if any, new drug development. There can be no serious, intellectually honest discussion that entertains the contrary. Finally, one of the most ridiculous claims made in the article says, “If you look at things such as the number of inventions presented at international fairs, the evidence suggests that 19th-century countries that lacked patent systems were no less innovative…” Again, it seems utterly ridiculous to draw any conclusion about lack of patenting from the 1800s given the technical sophistication and complexity of innovations today versus those from the 1800s. Putting that aside, however, it is curious that the authors would look all the way back to the 1800s when there is a wealth of information available from the 21st century about those countries without a patent system. If a weak patent system were the answer you would expect countries that have a weak patent system, or no patent system at all, to have run away innovation. After all, when anyone can copy the innovations of others you would expect to see all kinds of innovation and investment, at least if those claiming patents are unnecessary are correct. What you see, however, is the exact opposite. Each year the Global Innovation Index (GII) ranks the innovation performance of 143 countries and economies around the world, based on 81 indicators. Each year the countries that score best are those that grant strong patent rights. Similarly, each year the countries that make up the bottom of the rankings either have no patent system or they have no real or functioning patent system. In 2014, countries like Sudan, Yemen, Myanmar, Pakistan, Zimbabwe, Ethiopia, Nicaragua, Venezuela, Zambia, and Iran make up the bottom of the list. Countries like Syria, North Korea, and Afghanistan are not even ranked. Further proof of this comes from how the World Bank classifies countries based on gross national income (GNI) per capita. In 2007, high-income countries had a GNI per capita of over USD $11,456; upper middle income of USD $3,706 – $11,455; lower middle income of USD $936 – $3,705 and low income of USD $935 or less. Where do you suppose you see the most patenting? If patents inhibit economic growth and opportunities, then you would expect to see a higher percent of patents in the low-income economies, but oddly enough that is not what you see. You find that the overwhelming majority of patent activity is in the high-income economies. Indeed, upward of 85% of patent activity is in high-income economies. With that being the case how can anyone logically argue that patents get in the way of economic development? A poorly functioning system to administrate patents and enforce property rights may create a deadweight loss for the economy and make it more likely for countries to be caught in a middle-income trap. Conversely, improved enforcement of property rights enhances innovation and translates into higher wages in the design sector, which would draw more high- ability workers into that sector. As ridiculous and poorly researched as the claims in the article were, the most astonishing aspect of the nonsense spewed by The Economist is the shockingly short attention that was given to the reality that investors love patents. Indeed, it is difficult for any new business to raise capital. For a technology company without any patents raising capital will become even more challenging than it already is. The evidence that the current system encourages companies to invest in research in a way that leads to innovation, increased productivity and general prosperity is surprisingly weak. A growing amount of research in recent years, including a 2004 study by America’s National Academy of Sciences, suggests that, with a few exceptions such as medicines, society as a whole might even be better off with no patents than with the mess that is today’s system. That’s it. While a claim is made that there is “a growing amount of research in recent years,” the only citation is to a single study that is over a decade old. Proving that there is a growing trend logically requires more than a single data point coupled with a self serving and inaccurate conclusion. If there really is a growing amount of research to support the dubious assertion that patents do not encourage investment why not cite it so everyone can review the literature? Apparently the reader is just supposed to take the word of the author without any proof and in complete disregard for the mountain of evidence to the contrary. Venture Capital investors that oppose patent reform are not the only ones who recognize the importance of patents. In fact, dozens of investors who support patent reform wrote to Congress earlier this year asking for additional patent litigation reforms while being careful to explain the importance of patents. They wrote: “Many of our companies own patents, and we believe in a robust patent system. We do not want to undermine legitimate enforcement of properly-issued patents by responsible patent owners.” In other words, these investors want help dealing with extortion-like abusive patent litigation but do not want the system to strip their companies of the legitimate and important rights granted by a robust patent system. Similarly, a 2008 study conducted by the University of California at Berkeley Law School found that patents are viewed as essential by investors, finding: that “many potential investors… said that patents were important to their investment decisions.” See Patenting by Entrepreneurs: The Berkeley Patent Survey (Part III of III). In fact, the study revealed that “[o]f companies negotiating with VC firms, 67% report that these firms indicated that patents were an important factor in their investment decisions.” The Study also revealed that the importance of patents was not limited by industry, finding that patents are an important factor with VC firms as follows: “60% for software companies, 73% for biotech, and 85% for medical devices.” The survey of respondents also found “that substantial percentages of other types of investors, such as angels, investment banks, and other companies found patents important to their investment decisions.” So if investors on every level are interested in whether you have a patent portfolio or one in the works, why would you handicap yourself right out of the gate? It should be self evident that without funds to innovate innovation doesn’t happen. This absolute truism is lost on so many who ideologically carry a deep hatred in their hearts for patents. Still, it is shocking that any rational person would question the real world reality that patents are a critically important driver of investment. That The Economist would question this truth is both appalling and disgraceful. To merely reach an erroneous conclusion without support for the proposition asserted is shameful. For a publication that is allegedly knowledgeable about markets and the economy they know remarkably little about innovation, where it comes from and how it is funded. Truthfully, The Economist owes its readers a sincere apology for this entire article. Getting something so fundamentally wrong, when it is so easily researched, is astonishing. Getting a factual statement about the Industrial Revolution that was the self-proclaimed center piece of the premise is downright perplexing. People will read the article in The Economist and believe it to be true, when in fact it and the so-called “knockout argument” are a complete and total fabrication. Some could, and probably should, call into question the motivations for building an anti-patent argument upon such a rotten foundation. For a publication that is supposedly as authoritative as The Economist I would have expected some economic argument or rationale to support the proposition offered. There is a great irony that to get any economic data on the question of whether patents foster innovation you have to come to IPWatchdog.com. Rather than weave a fictitious tale like The Economist, my analysis is based on the work of a Nobel Laureate in Economics, factual data about actual patenting activities in England during the Industrial Revolution, data from the World Bank, innovation rankings published by Cornell University and studies of venture backed technology companies. The great thing about being honest and telling the truth is you have plenty of support for your position. Sadly, The Economist made bold claims that there was plenty of evidence to support their anti-patent premise and then failed to deliver. I am shocked and appalled at how an editor could let such crap get through! Thanks Gene. I knew you would be all over this. Frankly, after reading many of these “anti-patent” pieces over the years, it seems that they copy from one another and presume, to be true, the evidence they are relying upon. Gene might find it worthwhile to read “Why Nations Fail” by Daron Acemo?lu and James A. Robinson. The Industrial Revolution started in England. Its first success was to revolutionize the production of cotton cloth using new machines powered by water wheels and later by steam engines. Mechanisation of cotton production massively increased the productivity of workers in, ?rst, textiles and, subsequently, other industries. The engine of technological breakthroughs throughout the economy was innovation, spearheaded by new entrepreneurs and businessmen eager to apply their new ideas. This initial ?owering soon spread across the North Atlantic to the United States. People saw the great economic opportunities available in adopting the new technologies developed in England. They were also inspired to develop their own inventions. We can try to understand the nature of these inventions by looking at who was granted patents. The patent system, which protects property rights in ideas, was systematised in the Statute of Monopolies legislated by the English Parliament in 1623, partially as an attempt to stop the king from arbitrarily granting “letters patent” to whomever he wanted — effectively granting exclusive rights to undertake certain activities or businesses. The striking thing about the evidence on patenting in the United States is that people who were granted patents came from all sorts of backgrounds and all walks of life, not just the rich and the elite. Many made fortunes based on their patents. Take Thomas Edison, the inventor of the phonogram and the light bulb and the founder of General Electric, still one of the world’s largest companies. Edison was the last of seven children. His father, Samuel Edison, followed many occupations, from splitting shingles for roofs to tailoring to keeping a tavern. Thomas had little formal schooling but was homeschooled by his mother. Between 1820 and 1845, only 13 percent of patentees in the United States had parents who were professionals or were from recognizable major landowning families. During the same period, 40 percent of those who took out patents had only primary schooling or less, just like Edison. Moreover, they often exploited their patent by starting a firm, again like Edison. Just as the United States in the nineteenth century was more democratic politically than almost any other nation in the world at the time, it was also more democratic than others when it came to innovation. This was critical to its path to becoming the most economically innovative nation in the world. If you were poor with a good idea, it was one thing to take out a patent, which was not so expensive, after all. It was another thing entirely to use that patent to make money. One way, of course, was to sell the patent to someone else. This is what Edison did early on, to raise some capital, when he sold his Quadruplex telegraph to Western Union for $10,000. But selling patents was a good idea only for someone like Edison, who had ideas faster than he could put them to practice. (He had a world-record 1,093 patents issued to him in the United States and 1,500 worldwide.) The real way to make money from a patent was to start your own business. But to start a business, you need capital, and you need hanks to lend the capital to you. “Why Nations Fail” addresses the importance of patents in a nation’s success over and over again, but somehow The Economist editors seem to have missed the point even though The Economist covered the book three times in its print and online editions. So frustrating to see yet another pop-culture article with blatantly false information about the patent system. Years after NPR’s “When Patents Attack” podcasts, which was just chock-full of inaccuracies, I still frequently encounter articles that cite it as some kind of groundbreaking, authoritative expose. And there’s no question that these factually incorrect hit pieces are causing damage to our field. Just as advocates and casual participants repeatedly cite this coverage, court (including Court) decisions echo with this public sentiment as their motivation for eroding patent rights. It is also disappointing – as well as puzzling – that the leaders in our field are not being adamantly vocal, as a counter to this misinformation campaign. I’m surprised not to see a similar stream of articles from the heads of AUTM and LES, and from the investor community, asserting the advantages of strong patent protection, the general dangers in its erosion, and anecdotes about successful ventures that critically relied upon IP protection. I’m a firm believer that the best counter to bad speech, in the public sphere, is better speech. And I simply do not understand why key actors in the economy are not working against this slow devolution of patent law. And I simply do not understand why key actors in the economy are not working against this slow devolution of patent law. What is despicable is that one of the largest anti-patent proponents has been the USPTO. 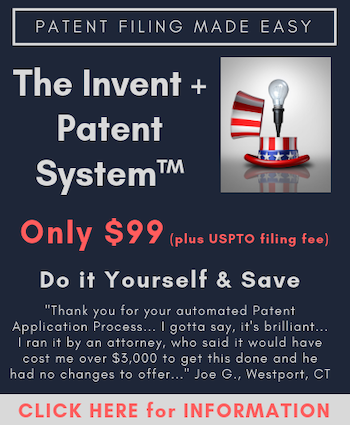 No one (should) know the plight of inventors better than the USPTO, but they are more than happy to come down on the side of the big-corp patent infringer. The Founders had centuries of human history that these educated original Americans were intent on distilling into a lasting timepiece of a sysyem of government. We rely on the totality of their judgment today and we celebrate their insight and forethought. Thomas Jefferson had a reason and why, if not for temporary expediency in an oligarchical age where the the viability of individual concept is crushed by Citizens United and Corporate rights winning the pay-go of the moment as if high-pressure air or water presure blasting away at the humans trying, is there a key element being questioned. Something fair that way came, where HR 9 is an oligarth’s dream. Perhaps, as The economist is edited and published in the UK, this is designed to provide illusory legitimacy for anti-patent legislation ‘over there’. Dear Gene – this is the first time I have read your blog. I found the article because I was looking to see why so few blogs actually had taken up The Economist’s article, which I also thought was appalling for all the reasons you have articulated. I wrote a letter to The Economist to paint a different picture but that has not (yet?) been published. You may be interested in an article I wrote for Europe’s World on this subject last year – http://europesworld.org/2014/06/11/do-intellectual-property-rights-stimulate-or-threaten-innovation/#.VCk_nxbgU85 . As an Englishman I am profoundly embarrassed that a UK-based publication of international repute should have published such a scantily researched and ill thought-out article. A far more appreciative view of the patent system is to be found in William Rosen’s excellent book “The Most Powerful Idea in the World. I think the short-term motivation of The Economist is to heap guilt on patent enforcers and anyone who owns/sells/works with patents. Longer-term, the fight is transitioning from painting all patent enforcement as patent troll behavior to putting a target on the back of each patent practitioner as alleged innovation killers. Gene deftly removes the feeble ground on which The Economist was standing and demonstrates how a patent system has enabled inventors large and small to innovate and advance the technological progress of each nation. I, for one, sleep soundly knowing that patent attorneys and agents are necessary cogs in a collaborative, innovative society. It pains me to see you jumping onto the “spin” doctor’s Ferris wheel. When we kill patents, we kill the seed corn. Yes we have a bigger harvest that year (“innovation”). But what happens the year after? The Economist suffers from myopia. Thank you for this brilliant paper! As an italian, I was surprised to see what the paper has said about pharmaceuticals in Italy. It is true that our pharmaceutical industry was better (in fact: existed) before 1978, but its main job was to copy drugs of our companies and, as soon as patents came into force also for drugs, they were unprepared to competiotion and disappeared. Actually, you do see such articles from AUTM, at least by those folks actively involved in AUTM which includes Joe Allen and me. I’ve been an AUTM member since 2003 and am currently the head of the legal affairs Task Force which focuses on legal decisions affecting the university TTO community; my Task Force is part of a larger AUTM Advocacy Portfolio which includes legislation, both domestic and international. And I can assure that the higher ups at AUTM, including David Winwood, the current president-elect for AUTM and who was my former chair of the predecessor to the Advocacy Portfolio (the Public Policy and Advocacy Committee), have been actively involved informing Washington of the university TTO’s alarm and disquiet with the current situation relating to our patent system. They’ve just not been “grandstanding” like others have such as the Economist and its ilk, as well as certain Congressman pushing the inane and disingenuous Innovation and PATENTS Acts. what is not needed is a patent system that heavily favors government, large entities & those that benefit from patent litigation & market manipulation. what is needed is a simple patent system that recognizes the importance of (intellectual) property rights for all and helps to level the playing field so that those with better ideas can work more effectively to help enable a better life. having had my ideas taken and by grace prevailed in the courts. i speak from experience. Thank you, Gene, for an excellent article and refutation of that appearing in the Economist. Does anyone have the capacity to determine the backgrounds of the writer of the Economist article and that of the editor[s]? I would not be surprised if there were found a money and power trail or linkage, and Marxist/socialist/fascist/communist roots or links. Great analysis Gene. When I read the article I couldn’t believe my eyes. I thought I was reading some revolutionary manifesto. Inventors to the barricades! Gene: You quote The Economist’s reference to the 2004 National Academy of Sciences report as if it really did say patents are of no value except in a few cases such as medicines. The report said no such thing. It merely said that that value of patents varies by industry. To my point that higher ups in AUTM do try to refute malarkey that like that appearing in the Economist, here is the link to a post 4 years ago on this blog by Robin Rasor, then AUTM President, and current Managing Director of Licensing in the University of Michigan’s TTO: http://www.ipwatchdog.com/2011/07/15/universityindustry-partnerships-work-don%e2%80%99t-kill-the-golden-goose/id=18192/ . Yes, we do have “friends” high in AUTM who care to rebut such malarkey. I didn’t mean to imply that report stood for the proposition offered, although I admittedly focused on the fact that a single data point cannot make a trend. I will go back and take a look for a future article. If you have interest in writing an article would love to publish your thoughts on this matter. When I was reading “The Economist” article I thought it was some faux news article from “The Onion.” Truly disgraceful for a publication that many regard as authoritative. No incentive means no innovation. Patents give people that incentive. Without patents, China could copy and make things cheaper and we just can’t compete at all. Even China has created their own patent system to help create more incentive for innovation. Gene, the economist is one big joker if they actually wrote and printed that article. They might even lose some readership. I am a patented inventor. I think there is a place for patents. However, I diverge when it comes to patenting science. Pharmaceutical development requires science. I believe the high cost of pharma discovery-to-market is because science collaboration is removed. That high risk investment is passed through to limited markets with high prices. As of January 1, 2015 our Open Access policy will be effective for all new agreements. I have a feeling that you are making a rather easy and common mistake of confusing science and applied science. That mistake has an all-too-ready analogue in the computer arts world: the mistake of confusing math and applied math. Patent law has a very ready answer written into 35 USC 101: utility. Pure science, like pure math, lacks the utility that is required under patent law. However – and this is a critical distinction so often overlooked – the requirement for utility is meant to be a very very low hurdle. Leastwise, for the legal requirement of 101. Unfortunately, US history has long been plagued with an anti-patent philosophical streak (stretching back more than 170 years) which is witnessed in a seemingly perpetual assault on patents and the patent system. As has been well-discussed, the assault actually has more than one philosophical origin. The assault can be readily seen to have more than one proponent, and can be generally characterized as being bipolar in nature: attacks from the Left and from the Right. The Left can be thought of as the “all property is bad” camp. The Right can be thought of as the “all property that is currently not mine is bad” camp. The patent system has to contend with attacks from both sides. But there should be little doubt that the fight is very much worth it – the fight that can be easily seen as the epitome of what once made (and with all sincere hope, will continue to make) this country the greatest and most innovative nation in the world. I do recognize that such a thought can be attacked as “jingoism” or excessive patriotism, but I firmly believe that history and an objective viewpoint is on my side, and I will continue to believe this as long as the facts bear me out, and my oath to this country dictates that the value I create for my clients in my chosen profession is of the highest value that I personally can create. Very good article. I appreciate the detail and citations. The Economist’s ill-researched sensationalistic hit-piece read like a buzz-feed/click-bait article. A sign of hard times at the Economist? Your point is taken – applied science is indeed the specifically accurate term. That does not detract from my perspective that certain advancements (albeit, “applied”) should not be patented. What might be your thought about the potential outcome might have been from patenting the cure to polio? The use of “should” carries a legal connotation that I do not think that you grasp. Whether or not anyone does patent their inventions is entirely besides the point of “should.” Thus, whatever point that you are attempting to make with the example of the cure to polio is rather NOT made. All that I am left with is a rather nebulous “feeling” from you as to what is and is not patented. You have provided no parameters for your version of “should” that can be intelligently addressed in a further conversation. Shall I remind you of the call for the patent system to be wide open? Look around the room. Almost everything you touch or see was subject to a patent or a patented process at one time. The keyboard I am typing on the screen you are reading on, the glass in the windows letting light into the room. The fabric of your clothes, the weaving machine used to make your clothes, etc. If patents inhibit economic progress then this would be impossible. While the authors are hidden, I am sure they belong to the Austrian Economics School. This school of economics refutes the idea of Natural Rights (Life, Liberty and property (pursuit of freedom). As a result, they do not think that people have property rights, but property privileges. Their formulation of property “rights” is not based on the creator having ownership of what they create. They think property privileges exist because of scarcity and these law being good at distributing scare resources – note they ignore creation. The reason they are immune to reason is that they think reason is limited. This comes from their intellectual roots, which is the Scottish “Enlightenment”, for more see the FEE (Foundation for Economic Education) videos on the Scottish Enlightenment. One of the intellectual giants of the Scottish Enlightenment was David Hume who rejected that causation exists and rejected that inductive reasoning was valid. In other words they do not think that reason is very effective in determining reality. As a result all the evidence in the world will not cause them to change their mind. Note that the industrial revolution began in England and the US the two countries with the strongest patent systems. The industrial revolution was not about industry buy inventions. There is a great and very readable book on point called “The Most Powerful Idea in the World” http://www.amazon.com/s/ref=nb_sb_ss_c_0_16?url=search-alias%3Dstripbooks&field-keywords=the+most+powerful+idea+in+the+world&sprefix=the+most+powerfu%2Caps%2C461.